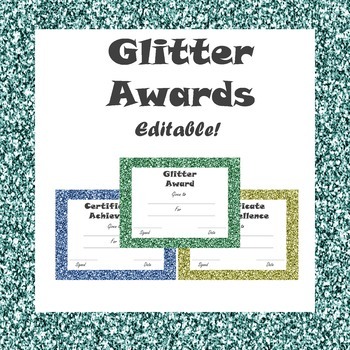 This award pack gives you 11 glitter awards of different colors, and 19 different award titles for a total of 30 different awards. 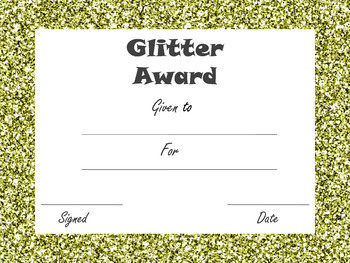 Included is a PowerPoint template to allow you to create your own awards! In order to use the edible award file you will need to have Microsoft PowerPoint. 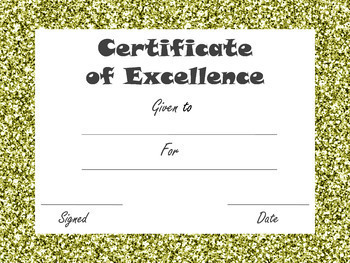 Each award already has text boxes layered over the top. 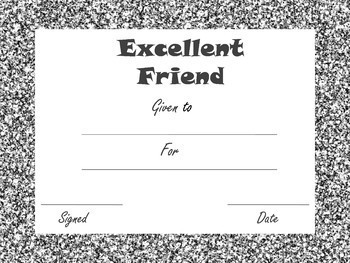 All you need to do is add the text you would like to use and print them out. The backgrounds can not be edited, but feel free to change the font size and type to suit your needs. This product is for personal classroom use only, and is not to be resold or added to commercial or free products. Don't forget to leave feedback and a rating of this product if you purchase it. Not only does it help me know what to focus on and how to improve my work, it also gives you credits towards your next TPT purchase!